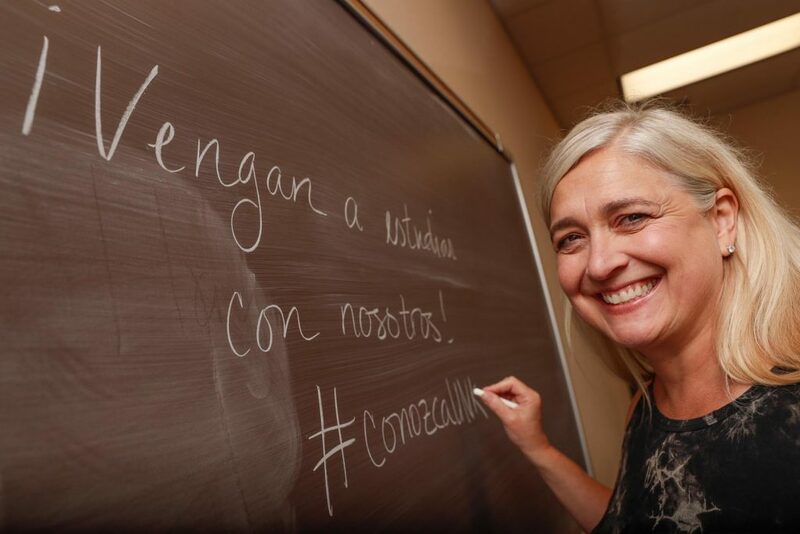 University of Nebraska at Kearney assistant Spanish professor Michelle Warren can’t take credit for this quote from writer Margaret Wheatley, but you’ll hear her say it a lot. It’s a message she definitely takes to heart. Nothing shows that more than her most recent project. 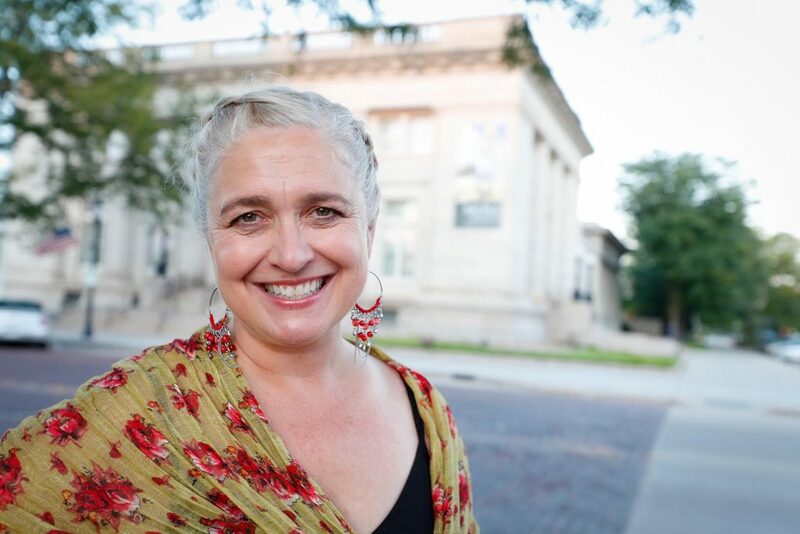 Warren, whose research typically focuses on theater and performance, is stepping outside her area of expertise to document the stories of immigrants from Spanish-speaking countries who relocated to Nebraska. “It’s a really timely project because of all the rhetoric about immigration reform and the separation of families at the border,” she said. Warren felt compelled to share these stories following the 2016 election of President Donald Trump, which sparked an ongoing debate over immigration laws in the U.S. She was troubled by the frequent generalization that all immigrants from Spanish-speaking countries are criminals with nothing to contribute to society. 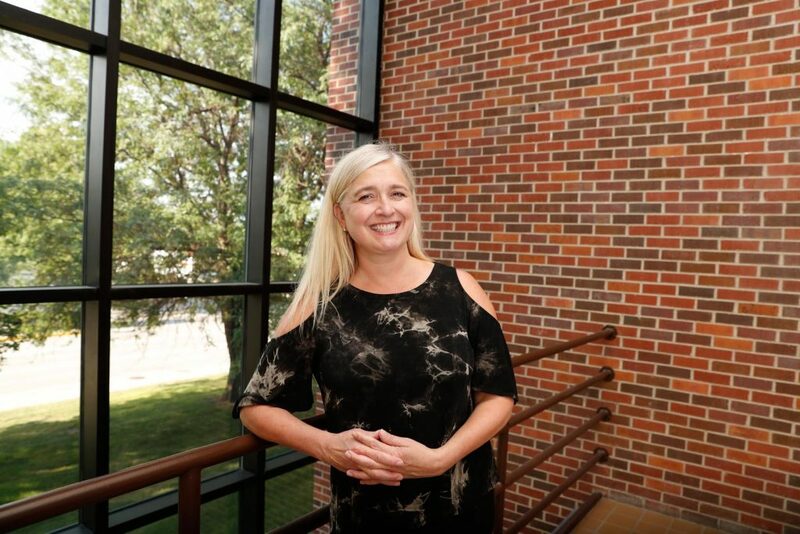 The Kearney native walked into her own classroom and saw a number of first-generation college students from immigrant families, including some who were brought to the U.S. as young children. 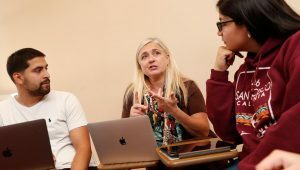 She learned about a student’s mother who escaped El Salvador during that country’s brutal civil war before settling in Nebraska, where she became an advocate helping other Spanish-speaking immigrants start new lives here. “Every family here has a story,” said Warren, who made it her mission to share these stories with others. 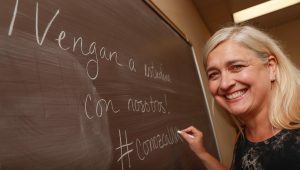 Warren teamed up with UNK archivist Laurinda Weisse, who has degrees in history and Latin American studies and speaks Spanish, and the two received grant funding through the Research Services Council. Then they added Jacob Rosdail, an assistant professor in the UNK Department of Communication, to the project. The three collaborators are working together to interview Latin American immigrants living in central Nebraska and share their stories. This project will attach human faces to the immigration debate, according to Warren. 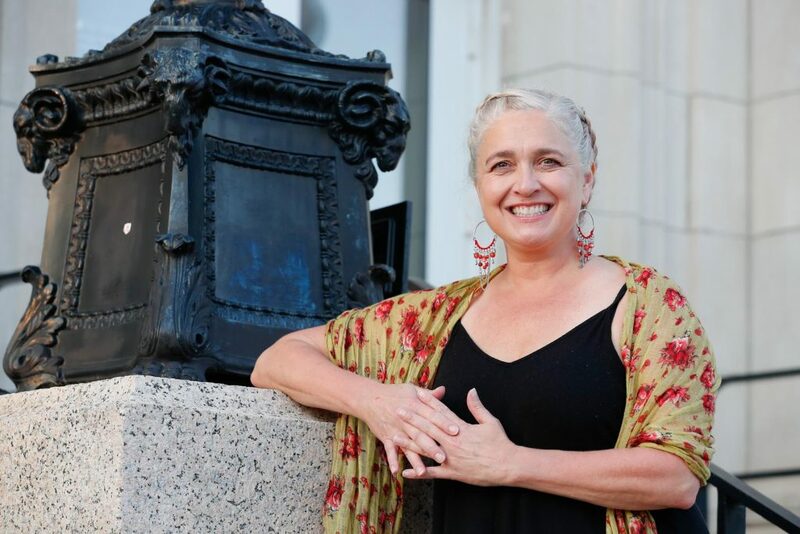 She hopes their work will help people understand the important roles immigrants serve in Nebraska and start a dialogue that leads to increased cultural awareness. “These are voices that need to be heard,” she said. The UNK team is interviewing people from all walks of life – a high school custodian, meatpacking plant worker, grocery store owners, immigration lawyer, the director of UNK’s Office of Multicultural Affairs and others. They came from Mexico, Cuba, Colombia, El Salvador, Guatemala and Honduras and now call Lexington, Kearney, Hastings, Grand Island and small towns in between home. Warren and her colleagues also interviewed a couple of UNK students and their parents, and there are about a half dozen students assisting the project by recruiting people with stories to tell, conducting interviews and transcribing. Each interview will be documented in English and Spanish, with help from UNK’s Spanish translation and interpretation program. The goal is to share these stories through podcasts, video documentaries, academic articles and a traveling exhibit that can be displayed in communities across the state. Warren even envisions the possibility of a coffee table book, which is always good for sparking conversation. As a researcher, Warren is drawn to issues related to identity and human rights. 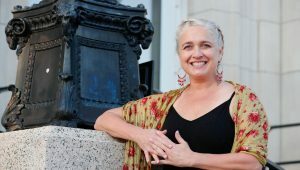 She studies Spanish, Latin American and U.S. Latino theater, comedy and films, and the influence they have on these areas. 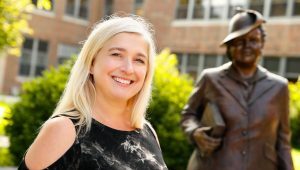 “I believe one of the most important responsibilities of faculty should be to create bridges between research, scholarship, classes and community,” Warren said. She’s been doing that since returning to her hometown and joining UNK in 2013. 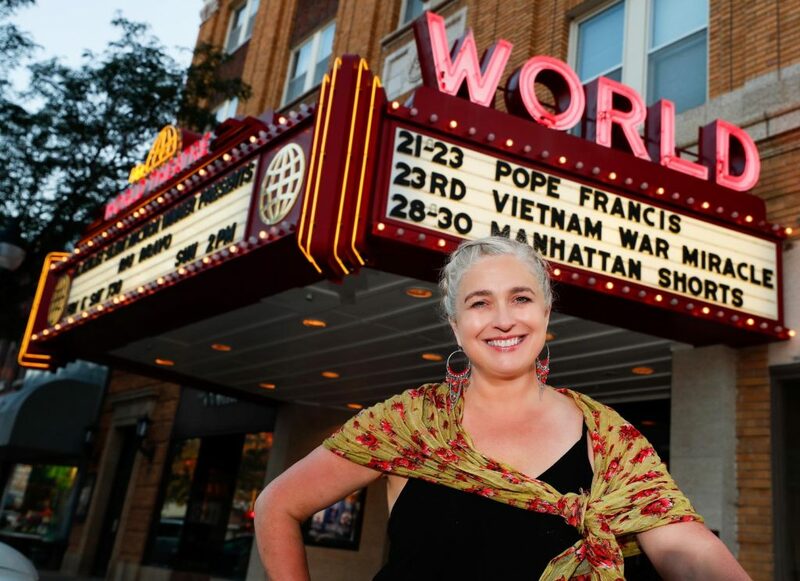 Warren launched the UNK@TheWorld international film series in 2014 to expose the community to different cultures and address difficult topics such as race and ethnicity, immigration and refugees and gender fluidity. Each film is followed by a discussion led by people with a connection to that particular topic or geographic region. Some speakers are UNK faculty, some are students and others are community members. “One of the most important things we can do as scholars and teachers is bring things to the community,” Warren said. “I’m a lot more interested in having an international film and a robust discussion about that film with community members than I am about writing the most scintillating piece on the latest theatrical release in Argentina and having it sit on a dusty shelf in the library. 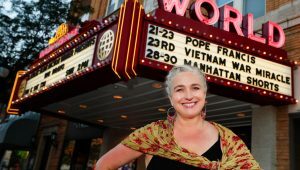 The series, which features three films each year at The World Theatre in downtown Kearney, draws hundreds of attendees annually, including some who travel quite a distance to get here. In April, Warren said, a woman drove from Wichita, Kansas, to see “Una Mujer Fantástica (A Fantastic Woman),” a film about a transgender woman. Transgender actress Daniela Vega starred in “Una Mujer Fantástica,” which won an Academy Award for best foreign language film. Warren started UNK@TheWorld by knocking on doors on campus and asking people to pitch in. “I had no idea what I was doing. It was my first year at UNK, I didn’t even know a lot of people,” she admits. Now the project receives support from Humanities Nebraska and the Nebraska Cultural Endowment, as well as the UNK College of Arts and Sciences, Modern Languages Department and women’s and gender studies and international studies programs. The films often tie into courses Warren teaches in Latin American and Spanish literature, theater and performance. She believes addressing topics through films or speakers makes a lasting impact that can’t always be duplicated in the classroom. “If we see a world we haven’t imagined as our own, we open a new window that helps us understand something we didn’t understand before,” Warren said. The international film series isn’t the only way Warren is providing eye-opening events for students and local residents. 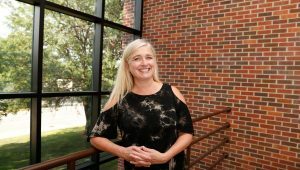 She’s also on the executive planning committee for the James E. Smith Midwest Conference on World Affairs, which brings experts and speakers from across the world to UNK to discuss global themes. This year’s conference was held in October with the theme “The World in Crisis: A Call to Activism.” One of the presenters was Dr. Benjamin LaBrot, who founded Floating Doctors, a nonprofit that provides medical and health care services to remote areas of countries such as Panama, Haiti and Honduras. Warren met LaBrot while living in Los Angeles. 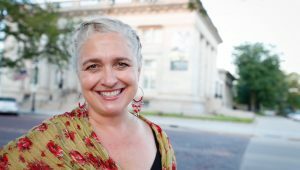 Her connections from the University of Kansas, where she earned a master’s degree and doctorate in Spanish language and literatures, helped bring two Latino poets featured in “Knocking on the White House Door: Latina and Latino Poets in Washington, D.C.” to the UNK event. In 2016, when the conference focused on migration and identity, she invited comedian and speaker Rick Najera to present. Warren also met Najera in Los Angeles, where she lived from 2006 to 2013. Their daughters were friends and classmates at a bilingual charter school, and the families formed a close bond. “I knew them as friends before I knew him as a comedian,” Warren said. She eventually learned a lot more about Najera’s work and realized his mission as a comic and performer mirrors her goals as an educator. Najera, who is also an author, director and award-winning screenwriter, advocates for greater Latino representation in Hollywood, the media and politics. The Mexican-American entertainer uses his career as a platform to address negative stereotypes and prejudices. “He plays a lot with stereotypes and uses comedy to question those stereotypes and make people think about how they view people from Latin American countries,” Warren said. Najera’s writing credits include the TV series “East Los High,” “MADtv” and “In Living Color.” He’s written several books and developed and hosted the Latino Thought Makers Series for the Oxnard College Performing Arts Center. His Broadway play, “Latinologues,” uses humor to shed light on Latino life in the U.S. The play, which made its way across the country before the New York City premiere in 2005, was directed by Cheech Marin of Cheech and Chong fame. 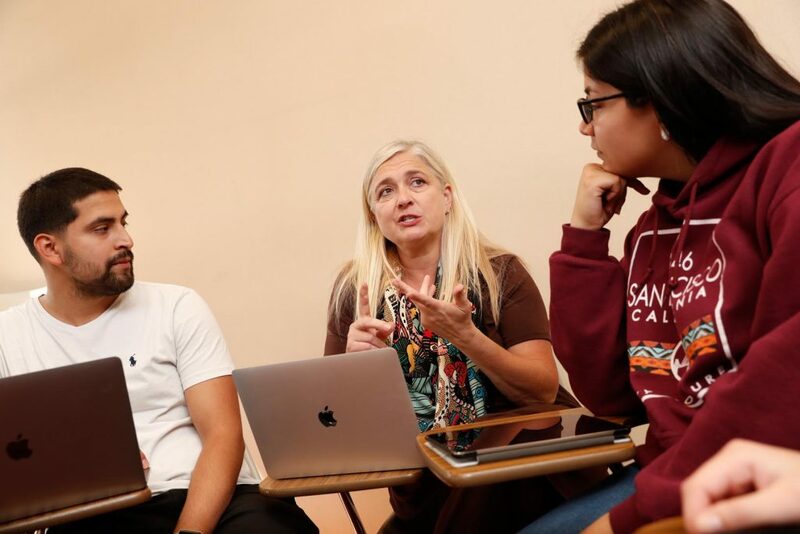 Warren wants her students to learn from events and experiences outside the classroom because, she said, those are often the most inspirational moments. “That’s what drove me to learn Spanish,” Warren said, although she picked up French first thanks to a Rotary International Youth Exchange program that allowed her to spend time in France when she was 17. The next year, she took a trip to Mexico and spent about six weeks there. Her parents, Mike and Becky Evers, were always encouraging Warren and her two siblings to try new things. She got involved with musical theater while attending Kearney High School and played Daisy Mae in a UNK production of “Li’l Abner” as a sophomore. “That part of my life is done, but I’m able to study theater and do that within my discipline,” said Warren, who also swam for the Lopers during college. 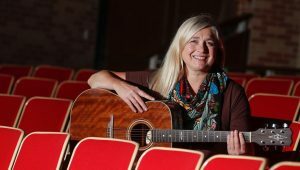 Warren started as a music performance major at UNK before changing course and earning a degree in Spanish and French. She still enjoys singing and playing the guitar and will occasionally perform with the Platte River Singers. A world traveler who has visited more than a dozen countries, Warren is particularly fond of Spain, where she leads a summer immersion program for UNK students at Universidade da Coruña. 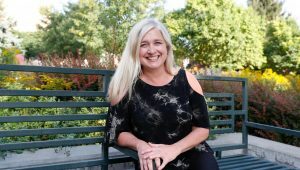 “A lot of the classes I teach primarily deal with Spanish culture, cinema and literature,” she said. Argentinean theater and playwright Eduardo Rovner, who Warren met during graduate school and now considers a friend, are also interests. “Argentina is like a super hub of theatrical activity,” she said. 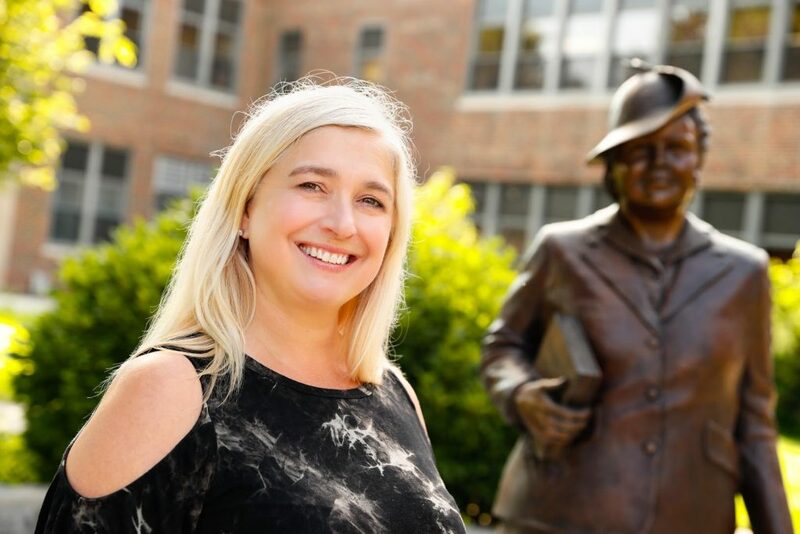 Warren, who is graduate program chair for UNK’s Modern Languages Department, also appreciates the cultural richness of Kearney, which can be partly attributed to the contributions she makes to her hometown and alma mater. “I always thought if I made a lot of money I would donate to UNK. I’ll probably never make a lot of money, but I’m able to give back with what I do professionally,” she said with a smile. Education: Bachelor of Arts in Education, Spanish and French, University of Nebraska at Kearney, 1992; Master of Arts, Spanish language and literatures, University of Kansas, 1996; Ph.D., Spanish language and literatures, University of Kansas, 2002. Career: Assistant professor of Spanish, Creighton University, 2001-06; Spanish and philosophy faculty and Department of Foreign Languages chair, Chaminade College Preparatory, 2006-13; Assistant professor of Spanish, University of Nebraska at Kearney, 2013-present. Family: Daughter, Maxine Mercedes Warren, 13; Son, Guy West Warren, 7. 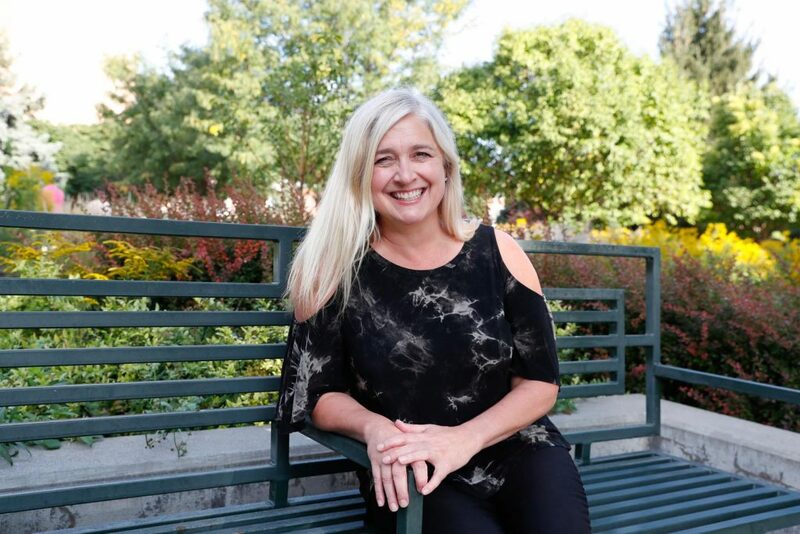 Hobbies/Interests: Travel, especially to Spain and Estes Park, Colorado, singing and playing guitar, Zumba, yoga, international films, spending time with family. Honors/Awards: Humanities Nebraska grants supporting UNK@TheWORLD film series, fall 2015, 2016 and 2017; Research Services Council grant supporting “Coming to the Plains: Latin@ Stories from Central Nebraska,” UNK, 2017-18; Kearney Area Foundation grant supporting UNK@TheWORLD, August 2014; Research Services Council grant supporting research on Rick Najera, UNK, 2013-14. Areas of research/specialization: Issues underpinning questions of identity and human rights, mostly through Latino, Spanish and Latin American theatrical and comedic performance, but also in film, and more recently, in oral histories of Latinos who moved to central Nebraska. Courses taught: Advanced Grammar and Composition; Transatlantic Cultural History (part II); Spanish Cinema; Women’s Voices from Spain; Staging the Revolution: Theatre and Social Change; Spanish Narrative from the Margins; The Theatre of Eduardo Rovner, Argentine Playwright; Study Abroad courses in Spain and Costa Rica. – “Breaking Boundaries: Comedy Curing Stereotypes in Rick Najera’s Theatre & Performance,” Border-Lines Vol. XI, 2018. – “‘My Work is More Necessary Than Ever’ An Interview with Rick Najera,” Latin American Theatre Review 51.1, 2017. – “Neoliberalism and Global Theatres: Performance Permutations Review,” Latin American Theatre Review 50.1, 2016. – “Photographic Representation: Negotiating Sites of Memory in Eduardo Rovner’s ¿Una foto…?” Latin American Theatre Review, 2015. – “Basque Culture and the Subversion of Melodrama in Ignacio Amestoy’s Gernika, un grito. 1937,” Estreno 29.2, 2003.